Vote now for the 2018 Irish Motorcyclist of the Year! World Superbike champion Jonathan Rea is a huge favourite to win the Irish Motorcyclist of the Year award in January. A star-studded opening shortlist of ten competitors has been announced for the prestigious Cornmarket Irish Motorcyclist of the Year title in January. Four-time World Superbike champion Jonathan Rea is a massive favourite to regain the stunning new Joey Dunlop trophy at the annual gala awards night at the Crowne Plaza Hotel in Belfast on Friday, January 18. Michael Dunlop clinched a treble at the Isle of Man TT to increase his tally to 18 victories. The cream of Ireland’s top riders from various disciplines of the sport have been nominated for the coveted accolade at Irish motorcycle racing’s glamour evening. A special online public vote, overseen by a panel of expert judges, will decide the final shortlist and the eventual overall winner. Ballyclare man Rea looks a certainty to lift the main accolade once again after winning the World Superbike title for a record-breaking fourth consecutive year. He also established a new record of 11 successive race wins and equalled American Doug Polen’s benchmark of 17 victories in a single season. The 31-year-old’s opposition includes three British champions, with Clogher’s Keith Farmer in the mix after the Tyco BMW rider sealed the Superstock 1000 title to earn his fourth British championship crown. Keith Farmer won the National Superstock 1000 Championship to become a British champion for the fourth time. Dublin’s Jack Kennedy is also on the shortlist following his British Supersport Championship triumph, while young gun Eunan McGlinchey from Aghadowey has been nominated following his sensational Junior British Supersport Championship success. Carrickfergus brothers Glenn and Andrew Irwin are also in contention for the feature award after both riders shone in the British Superbike Championship, while Glenn also chalked up a dominant Superbike double at the North West 200 on the PBM Be Wiser Ducati. The 28-year-old ended the BSB season on a high with a victory at the final round of the championship at Brands Hatch in October. Irwin is taking on a new challenge next year after joining the title-winning JG Speedfit Kawasaki team, replacing BSB champion Leon Haslam, who has joined Jonathan Rea in Kawasaki’s official World Superbike line-up. His younger brother Andrew impressed as a rookie in BSB this year after being brought into the PBM Ducati team as a replacement for the injured Shane Byrne. Glenn Irwin (2) and his brother Andrew (18) were in fine form in the British Superbike Championship. Irwin, who started the season in the World Supersport Championship, has signed to ride for Honda Racing in 2019. 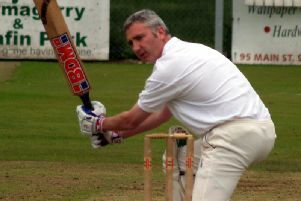 Another Carrick man, Alastair Seeley, has been a regular amongst the nominees in recent years and features once again. Seeley increased his record haul of North West 200 wins to 24 in May after a sublime treble and ended the British Supersport season on a high with the EHA Racing Yamaha team. Ballymoney’s Michael Dunlop proved once again why he is at the summit of road racing’s elite with a treble at the Isle of Man TT, taking victories in the Superbike, Supersport and Lightweight classes. He is now the third most successful TT rider ever on 18 victories, with only his uncle Joey (26) and John McGuinness (23) ahead of him. On the national road racing scene, Mullingar’s Derek McGee had an excellent season as he clinched the Irish Supertwin, Supersport and Superbike Championships. McGee also finished as the runner-up in the Lightweight TT behind Michael Dunlop. The final contender is World Superbike rider Eugene Laverty, a podium finisher in the championship this year on the Milwaukee Aprilia and a former winner of the main award. The public vote, which will close on December 28, can be accessed via any computer, iPad, iPhone, Android or mobile device. Ex-British champion Adrian Coates, who will chair the panel of judges, said: “Last year we had a massive vote topped by Jonathan Rea and this year we are hoping for even bigger. “Rea is obviously the overwhelming favourite, but making the final shortlist is regarded as an important accolade for every rider, so there’s plenty at stake. A dozen awards will also be presented at the sold-out event, including the IFS Road Racer of the Year, Blackhorse Best Short Circuit Rider on UK and Ireland Circuits, JWA Team of the Year, RPS Hall of Fame, Greenlight Television Special Recognition and Bet McClean Race of the Year. Details of how to vote can be found on Twitter @BikeAwards and on the official awards Facebook page, Cornmarket Motorbike Awards.